I’d been to Adelaide a few times before. But never accompanied by my bike until the week just finished at the 2014 Tour Down Under. As you’d expect the city was jam-packed with bikes and riders of every imaginable variety; it was a joy to be part of the rolling sea of humanity. As a newbie to the Adelaide bike scene, several things stood out during my two-wheeled travels. 1. Watch out for the manhole covers. They’re everywhere. I have a sore arm from all the pointing. 2. The riding is sublime. True, the climbs aren’t as long as the Alpine regions of Victoria and NSW, but what they lack in size, they more than make up for in punch. And variety. Want to work on your rhythm? There are long gentle pulls. Feeling like a smashfest? There are some brutal leg and lung busters. Want to get the adrenaline flowing? Check out the fast and sweeping descent down Monacute Road. Then there’s also the flat-as-a-tack rides up and down the beaches from Glenelg, perfect when you need to rest your aching pistons. 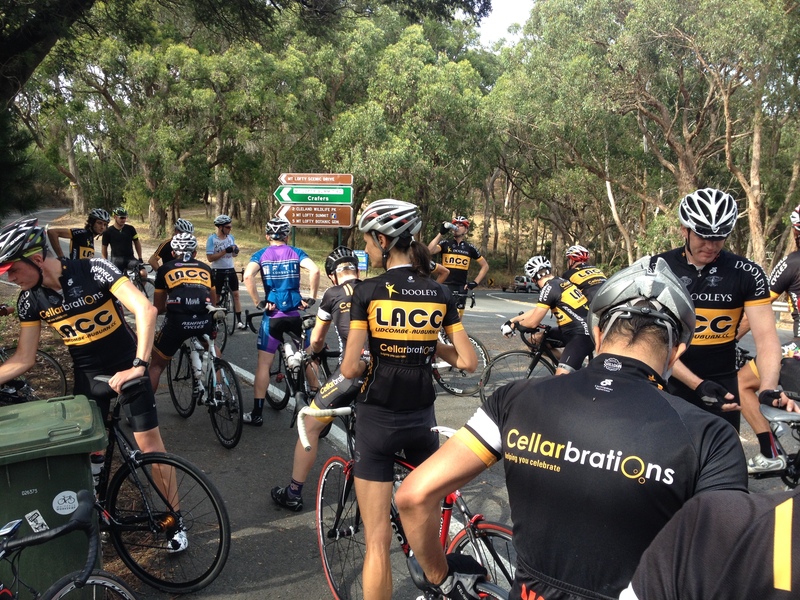 The road to Mt Lofty, packed with riders down for the TDU. 3. Be prepared to wait. Traffic lights seem to take an eternity to change in the city of churches. I have no idea why. 4. Warm up. Given the close proximity of most climbs to the city centre, you need to be ready to go right from the start or you’ll get left behind. 5. Explore. With so many rustic towns spread throughout the Adelaide Hills, Barossa and McLaren Vale areas, it’s hard to get (that) lost. You’ll never be too far from a cafe. 6. Hope you like pies. There are a lot of bakeries about, each doing their own ‘best pies in the world.’ Based on my experiences, some may well be. Mmmmm. 7. South Australian koalas are different. I’ve lived in Australia for all but two years of my life, and I’ve never seen so many koalas in the wild. They’re not shy either. They come down from their trees looking for water and will quite happily sit on the roadside as you ride past, or even scurry past. One adult male even grunted at me when I stopped for a rest too close to his tree, at the top of the Corkscrew climb. This is no set-up. Adelaide’s koalas really do this! If you get a chance to get to Adelaide, do it. And be sure to take your bike. You forgot one other special thing about riding in Adelaide and one of its best aspects. 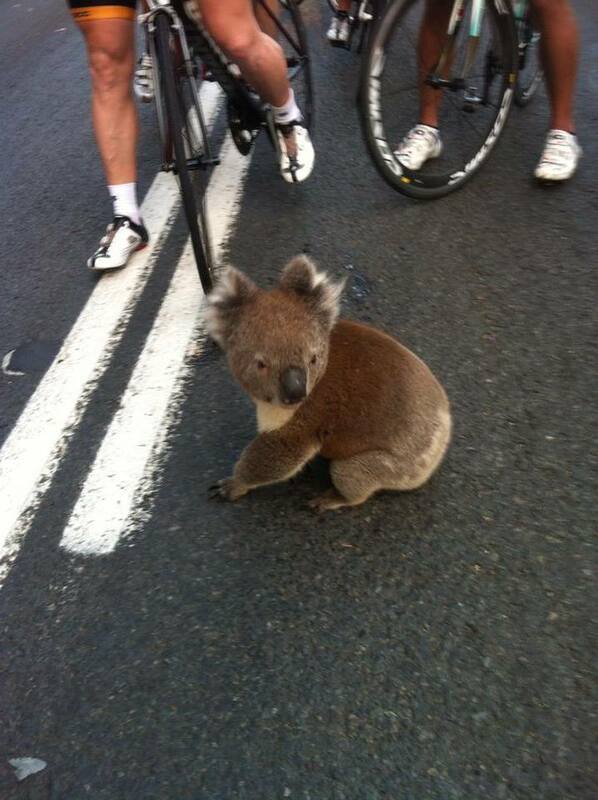 No where else in Australia will you see so little glass on the roads. Even in the back of no where the roads are almost completely free of glass. Having spent over two weeks in Adelaide for the TDU I could not total up the amount of glass and rubbish to equal a single 25k commute in the ACT. Great call, James. Definitely deserves to be on that list. 8 things….